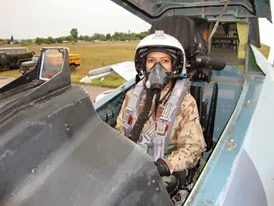 After Indian Naval Chief Admiral Sunil Lanba stated in December 2016 that the home-made carrier fighter jet the single-engine Light Combat Aircraft (LCA) Tejas was unsuitable for the Indian Navy's requirements, owing to its weight, the program has received a set-back. Adding salt to the wounds further, during Aero India-2017 (the biennial air show held in Bengaluru), Defence Minister Manohar Parrikar said that the Ministry of Defence (MoD) had sought request for information (RFI) from Sweden's SAAB for Sea Gripen E and Boeing for its F/A-18 Superhornet. 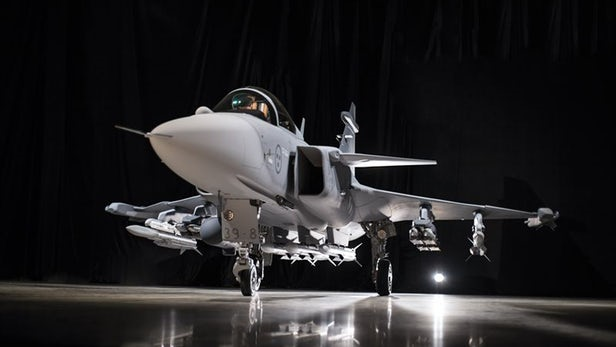 It may be noted that Gripen E has not been acquired by any country of the world. 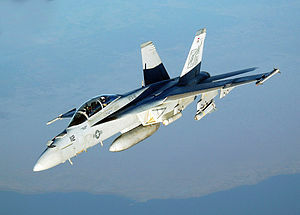 The RFI mentions a reqirement for the Indian Navy of 57 twin-engine fighters, so going by this clause, it is only F/A-18 Superhornet, that ,would qualify, as out of the three- LCA Tejas, Gripen E and the F/A-18 Superhornet, only the Super Hornet is a twin-engined fighter. The assurance that the LCA Navy program would not close down and would continue to be funded, both by the Naval Chief and the Defence Minister, have done little to boost the home-grown fighter's morale. The agency developing the LCA Navy-Aeronautical Development Agency (ADA) along with Defence Research and Development Organisation (DRDO) and Hindustan Aeronautics (HAL), is being headed by former Naval officer Commodore C.D.Balaji , who has been the Project Director of LCA Navy, right from its inception, and now as ADA Chief, he is responsible for the IAF's LCA Tejas as well as the LCA naval variant. Admiral Sunil Lanba stated last December,"We will continue to support Defence Research and Development Organisation (DRDO), Hindustan Aeronautics (HAL) and Aeronautical Development Agency (ADA) but the naval LCA in its present form unfortunately does not meet our qualitative requirements for carrier capability.In addition to MiG-29Ks, we now need an alternative aircraft to operate from these two carriers. If you look around the world, there are not too many options available and we need this carrier-capable aircraft sooner than later. So, I am looking at next five to six years." 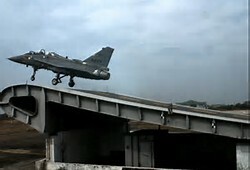 The Navy has called the Tejas 'too heavy' which does not meet the "thrust-to-weight requirement to take off with a full fuel and arms load" from an aircraft carrier's deck. Currently the Navy has inducted over 30 of the 45 MiG-29K fighters acquired from Russia for $2 billion. The navy's statement has not gone down well with former DRDO bosses like Dr V.K. Saraswat, who hit back at the Chief saying that the Admiral's decision defied logic, “When they projected Gripen as an alternative for LCA Navy, I was surprised. LCA MK2 (which is under development) and Gripen, as platforms, have no difference. The GE F-414 is powering both aircraft, so where is the question of low thrust? All that people, who are at the helm of the affairs, have done is badmouth institutions which have done a wonderful job. Is this the approach to make ourselves self-reliant? 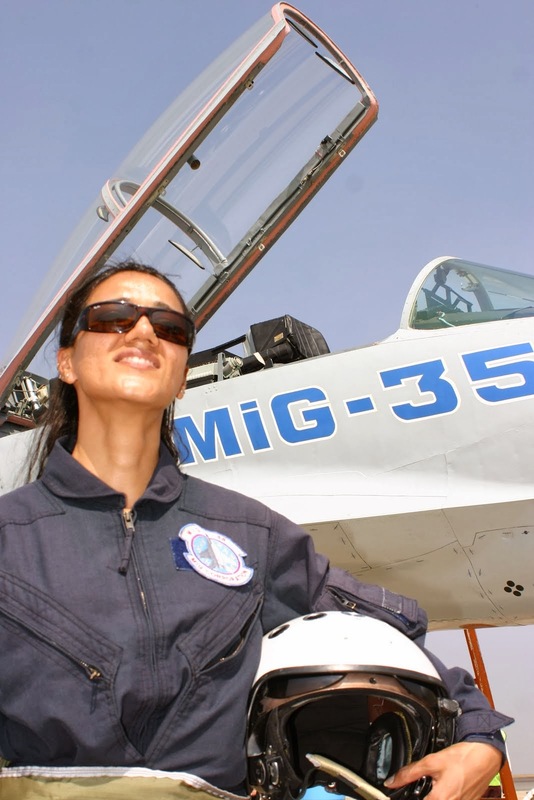 Any number of Aero India(s) can take place, but unless you have conviction and faith in your own capabilities, you can't achieve self-reliance." The Indian navy is looking to induct a new twin-engine fighter onboard its present carrier- the 44,400-tonne carrier INS Vikramaditya, and the under-construction 40,000-tonne INS Vikrant, which will be ready by 2019-2020. The already in service MiG-29Ks too would fly from these carriers as was the naval Tejas supposed to. 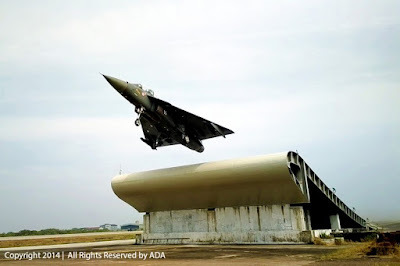 While the Indian Air Force (IAF) went a step ahead and finally got its first two LCA Tejas fighters on July 1, 2016, under the LCA project which was cleared way back in 1983, while the Navy was supposed to get around 50 of the indigenous fighters. IAF commissioned the first two Tejas fighters in the 45 "Flying Daggers" Squadron , which will be fully constituted with 20 jets only by 2018. 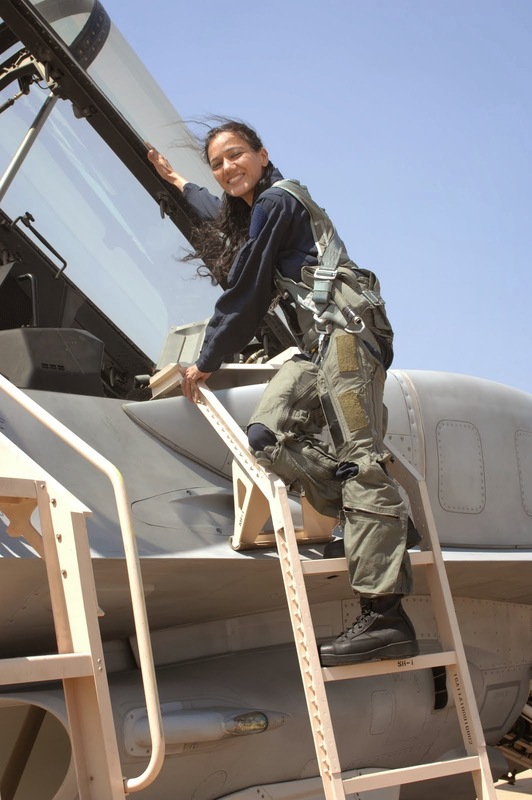 IAF is supposed to get 120 fighters. IAF had earlier ordered 40 Tejas jets, with the defence ministry ,giving the initial approval for procurement of another 83 Tejas Mark-1A fighters from HAL for Rs 50,025 crore. The Mark-1A version, which is the one IAF really wants, will be ready only by 2020 or so. It will have an AESA (active electronically scanned array) radar and advanced electronic warfare (EW) suite, as also be capable of mid-air refuelling and firing advanced BVR (beyond visual range) missiles. The ADA and Commodore Balaji have offered the Navy the Mk-II version of the LCA, in what can be called a sweet-heart deal, in a bid to salvage the program and this new version would a more powerful engine and would be structured as per the user's requirements. Also the ADA LCA Navy team has offered a timeline to the Indian Navy, which is completing the design by 2019 and carrying out the first flight LCA Navy Mk-II by late 2020 or early 2021, for which basic material is already under order like two GE F414 engines — one for the naval variant and the other for IAF prototype.Eight engines have been ordered from GE for the Mk-II programme. The idea is to come up with a more powerful LCA Navy fighter jet. Other structural changes being planned are moving the jet's wings outward by about 350mm, increasing the space between the fuselage and the wings. This would immediately optimise load transfer and make space in the central fuselage for fuel, for upto 700 kg additional fuel, providing about 22 minutes of additional time for flight. A new test rig to test horizontal and vertical loads during a deck recovery, including 7.1 m/s sink rate and the 45 ton load on an arrester wire are also being planned.A full scale model of the LCA Navy Mk-II is expected to be ready by early next year. There are plans to switch from a mechanical radar on the LCA to an AESA radar on Mk-II, but since the LCA doesn’t have an integrated liquid cooling system necessary for an AESA radar, the ADA has suggested that a small auxiliary compartment that becomes redundant after the mechanical-to-AESA switch could be utilised to house a liquid cooling system. The LCA Navy programme started in 2003 ans was supposed to make its debut flight at the end of 2010, but was delayed as it was not given certification owing to structural issues.The US Navy and the European consortium, EADS, were the two agencies whose help was sought in terms of consultancy. The LCA navy was tasked with the primary role of air defence and anti-shipping strike and interception. 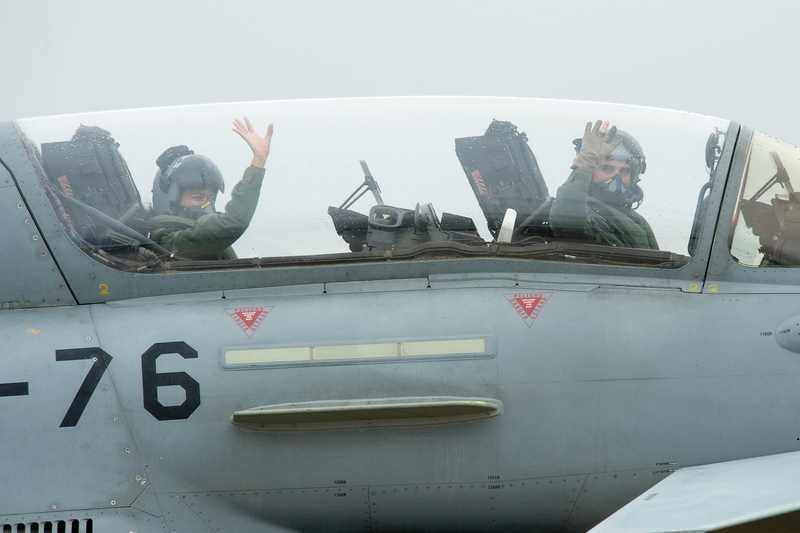 Fuel dump is an additional feature in the LCA navy to enable safe landing by reducing weight. The first aircraft rolled out in July 2010 and was supposed to take-off at the end of 2010. It may be noted that the the carrier-borne fighter's first prototype had its first Engine Ground Run (EGR) only on September 26, 2011. The single engine naval LCA was denied the certification from the Centre for Military Airworthiness and Certification (CEMILAC), after a couple of its observations have demanded rectifications in the structure of the aircraft. The two most important features which required rectifications, before certification were the landing gear and special controls. The landing gear of the naval aircraft was heavy and needed reduction in weight and the movement of the Levcon (leading edge vortex control) needed reduction too. A Levcon is a small wing ahead of the main wing of the aircraft, at the edge, and is required to have controlled movement. These features are the additions which distinguish the naval version from the IAF one. Former Defence Minister A K Antony had stated in Indian Parliament that, "Deficiencies have been detected in the airframe and other associated equipment of the LCA Navy. DRDO is working out modalities with various organisations for rectifying these deficiencies by suitable modifications to the engine/airframe design." All naval LCAs will be tested at the Goa-based shore-based test facility (SBTF), which will have a simulated arresting gear and landing aids as in an aircraft carrier. The naval (LCA Mk-I) had two main engine runs of the first prototype.The first engine ground run of the LCA Navy had the primary objective of checking aircraft to engine integration and activation of the various systems like flight control, hydraulics, fuel, electrical and avionics. 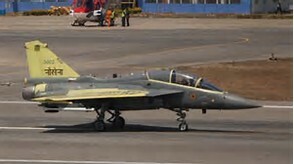 The first version of the aircraft called Mark-1 (Mk-1) version of the naval Tejas was to have the GE404 engine, while a more advanced LCA Tejas Mk-2 was supposed to make its first flight in 2015. The first four Mk-1 LCAs will be single-seat fighters and the four after that will be in twin-seater trainers. The LCA(Navy) project team comprises, members of Indian Navy, IAF, HAL, DRDO, CEMILAC, DGAQA, CSIR Labs, Educational Institutions, other public and private sector partners. 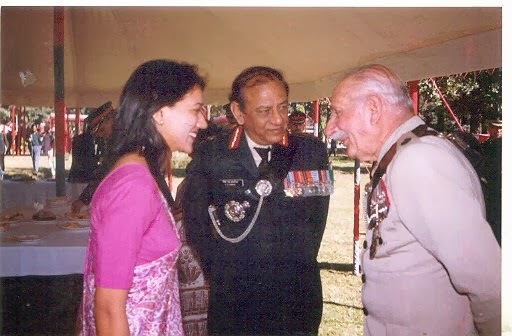 Former Chief of Naval Staff, Admiral Nirmal Verma, was quoted in 2012, that the parent agency ADA concentrated mainly on the IAF version of the aircraft, more than the naval version, which caused the delay. The Chief largely blamed the ADA for not delivering. Former IAF Chief S.Krishnaswamy has said in the past that the naval aircraft would probably need a new engine apart from lots of testing and modifications, adding that the primary version is the IAF one and with that one too hitting technological roadblocks, it's bad news for the programme all-round. LCA Tejas will have weapons' suites from Saab, Raytheon and Israel’s Rafael . All MMRCA Contenders Back In Race ! !